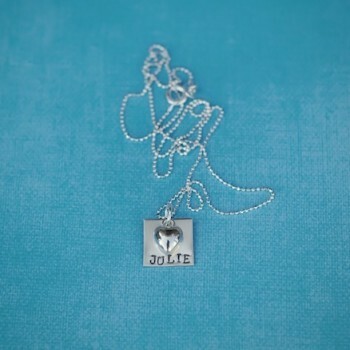 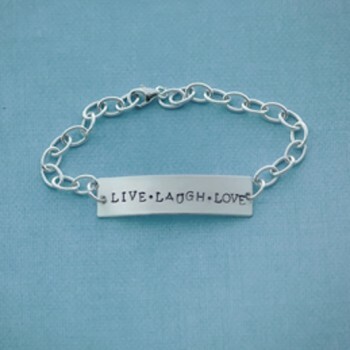 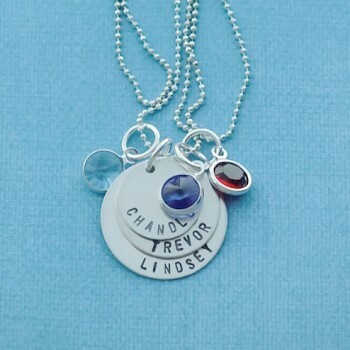 This necklace comes with a 22″ silver plated chain. 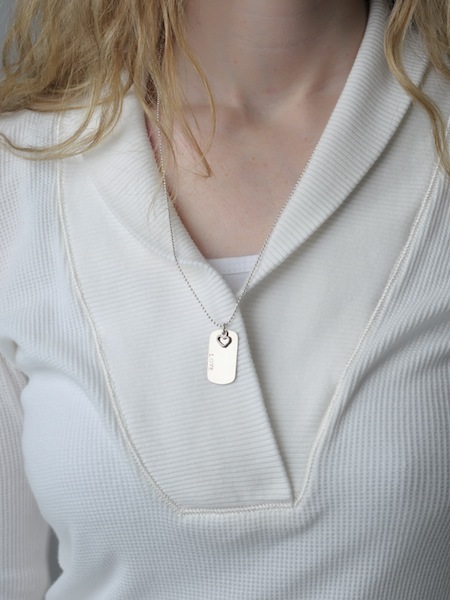 The Dog Tag is 30mm x 18mm Silver Plated and can hold up to 12 characters. 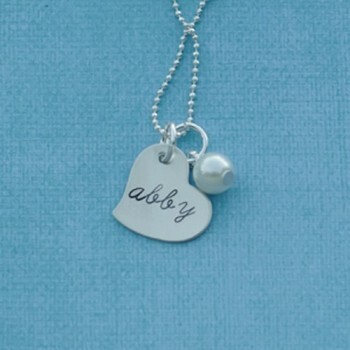 It also comes with an open heart charm. 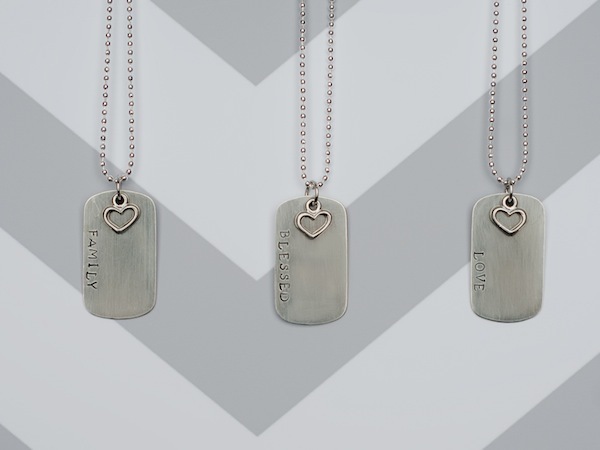 Tags: For Mothers, For Weddings.